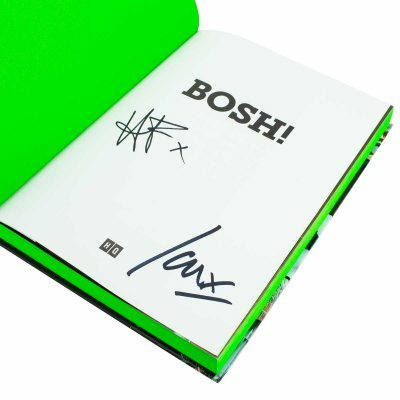 Having re-written the rule-book for meat-free cooking, the BOSH! boys are back. 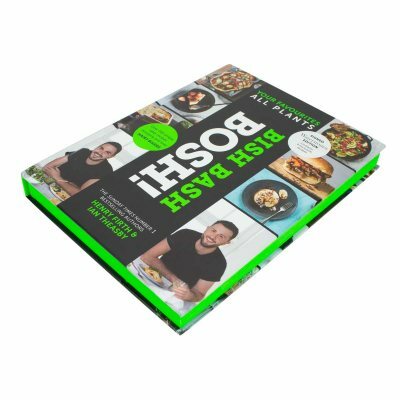 Containing 140 fresh and innovative new recipes from quick suppers to feasts to impress a crowd, BISH BASH BOSH! vegan food as you’ve never seen it before. 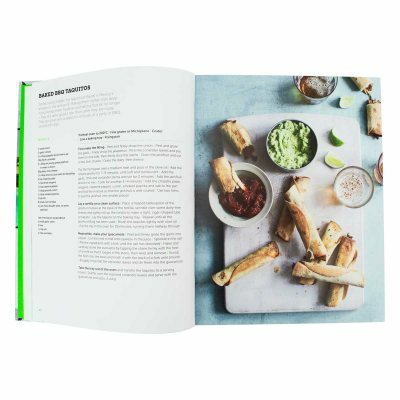 Our exclusive edition contains six bonus recipes and eye-catching sprayed edges. It’s enough to tempt even the most hardened carnivore to eat their greens. 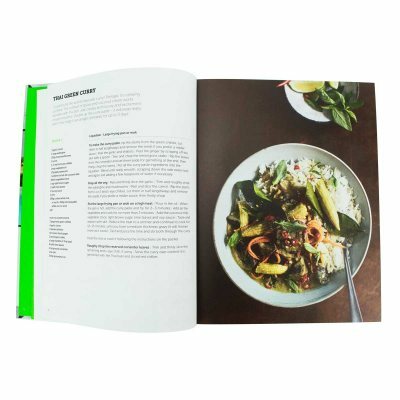 Over 140 new, unmissable recipes plus six exclusive new recipes from the creators of a plant-based revolution. Do you want a quick weeknight supper that gets more veg into your diet? A show-stopping vegan Christmas dinner? A fun, fresh meal plan to set you up with plant-based packed lunches? 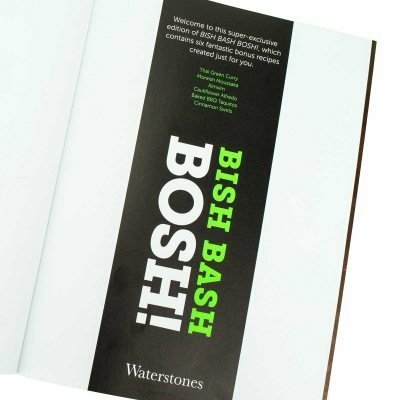 Whatever you're after, BISH BASH BOSH! has the perfect recipe. Henry and Ian have created a food revolution through the world's biggest plant-based platform. 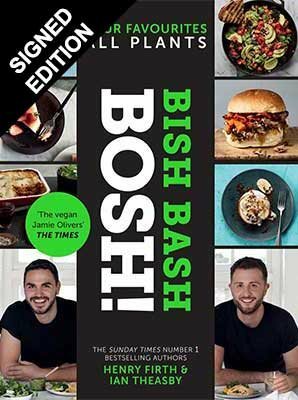 Their first cookbook was the highest-selling vegan cookbook ever, and with over 2 million followers across all their fast-growing channels, BOSH! are on a mission to show the world just how versatile cooking with veg can be. In BISH BASH BOSH! you'll discover a whole world of quick eats, weeknight suppers, showstopping feasts, and incredible sweet treats - all using the power of plants. From a hearty, classic lasagne to an indulgent mini banoffee meringue, and from quick quesadillas to an incredible curry house jalfrezi, these are simple, savvy recipes that you'll turn to time and again. 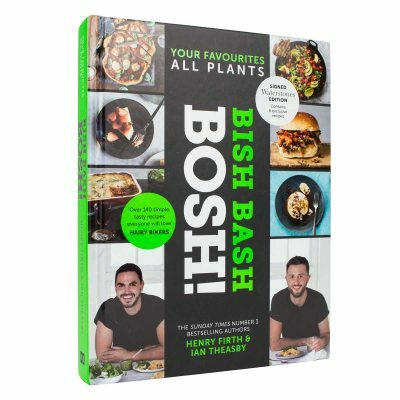 Whether you are a committed vegan, trying plant-based food for the first time, or simply just want to try a meal a week without meat, this book has all the know-how and inspiration you need. Thank you to the publishers for this review copy! Lasagne will be the dish for us! We are not vegan or vegetarian - but we are happy to eat healthily!